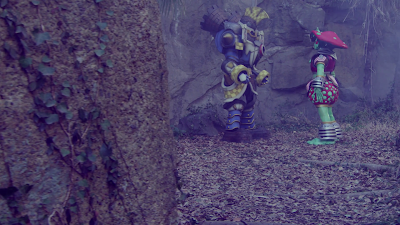 The episode plot was kind of fun to think how the Dekarangers want to arrest the Gokaigers. The whole scene where Marvelous gets arrested by Jasmine was fun. It was also fun to see Ayumi Kinoshita show a little more badass moves before she decided to settle down and focus on the family. It was an episode. 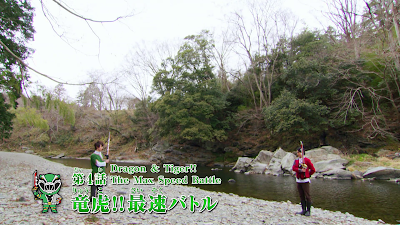 But maybe, just maybe Utsunomiya thought, "Let's try and create two teams that are at odds with each other for the next Super Sentai!" 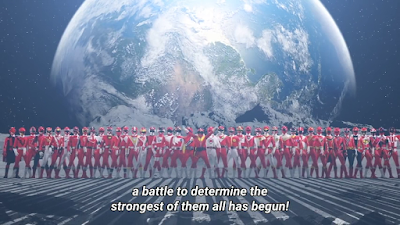 While Ban did give his blessing at the end of the episode but that wouldn't be the case for the next Super Sentai. I guess that's how we got Lupinranger (main team) vs. Patranger (secondary team) where the Gentleman Thief Super Sentai are at odds with the law. They are fighting the Gangler while trying to get the Lupin Collection -- otherwise, the whole world could be at jeopardy. It's almost like the one episode where the Dekarangers and Gokaigers have the Zangyack as their common enemy -- yet they had a clash. But how long with both sides clash? It would probably be a season clash with the running gag where the Patrangers will fail to capture the Lupirangers -- and they have to seldom join forces because the Gangler is getting too much. 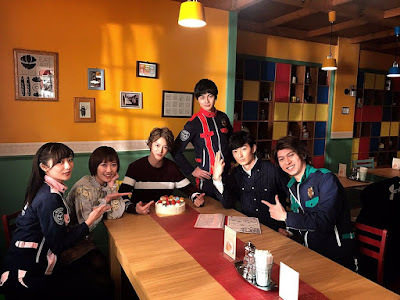 I just can't wait to see this seed finally bear fruit in the upcoming Super Sentai season! I could easily see a four way in the coming months, Plus Zyuohger v. Kyuranger could the B-Plot of the story.